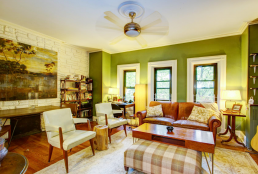 Eric Benaim of Long Island City-based Modern Spaces counsels the writer of this week’s Buy Curious, a woman seeking a 2-bedroom in the newly buzz-worthy borough of Queens. Brooklyn prices have risen steadily in recent years, and those who have been priced out of the borough have been forced to seek out cheaper alternatives. Queens offers significant savings. A 2-bedroom in Long Island City goes for an average of $900k, while a similar apartment in North Williamsburg would cost around $1.1-$1.2 million. Queens also offers great transportation options for those looking to get into the city quickly for work or play. In the last few years, Long Island City has exploded with new buildings—both high-rise and boutique condos have sprung up seemingly overnight. There’s a lot to do, including great restaurants, nightlife, culture, and of course, Gantry Plaza State Park—a 12-acre waterfront park that boasts manicured gardens, basketball courts, playgrounds, handball courts and even a fishing pier with its own cleaning table. You have a number of options for under $1 million in LIC and can probably get a 2-bedroom that will be around 1,000 square feet. 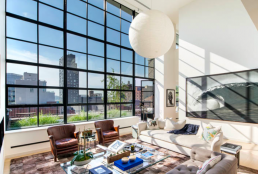 Plus, LIC is just a 15-minute commute into Manhattan on a number of subway lines, including the N, Q, 7, E, R and M.
Long Island City 2-bedroom/2-bathroom condo, $945,000: This 1,285-square-foot 2-bedroom condo sponsor unit at 42-51 Hunter St. at 42nd Rd., is located in the Queens Plaza district of LIC, and features a Viking gas range and a Subzero refrigerator. It’s within your budget, and since it’s a sponsor unit, the approval process ought to be relatively quick. Long Island City 2-bedroom/2-bathroom condop, $700,000: This 2-bedroom Penthouse condop at 4-74 48th Ave. between Center Blvd. 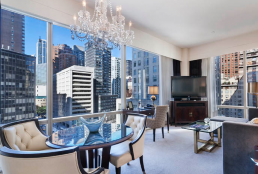 and 5th St. is located in a full-service waterfront high-rise that offers unobstructed views of Manhattan. 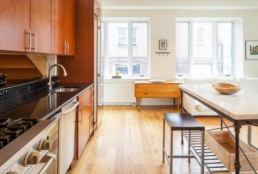 Long Island City 1-bedroom/2-bathroom condo, $1,125,000: Although this convertible 2-bedroom at 2-17 51st Ave. between 2nd St. and 5th St. is slightly more than $1 million, there is a lot of value in this 1,232-square-foot apartment. Located in The Powerhouse Condominium, a onetime power plant for the LIRR, the space offers unique architectural details, including exposed beams and high ceilings. It’s also a full-service building with a 24-hour doorman/concierge, a fitness center, game room, business center, screening room, spa, children’s playroom, cold storage and massive roof deck. There’s also free Wi-Fi throughout the building, which is only two short blocks from the subway. Long Island City 2-bedroom/2-bathroom condo, $945,000: If boutique living is your thing, then try this charming building at 10-40 46th Rd. between Vernon Blvd. and 11th St. that boasts 24 apartments, a virtual doorman, a gym and a courtyard, The 1,017-square-foot apartment offers high-quality finishes, a large balcony and even a fireplace. Astoria 2-bedroom/2-bathroom condo, $750,000: This 2-bedroom penthouse condo at 30-85 Vernon Blvd. between 30th Dr. and 31st Avenue is located by the new waterfront development project the city recently approved, where thousands of new apartments are expected over the next several years. The 926-square-foot apartment has in-unit laundry, central a/c, and even a 1,000-square-foot wraparound terrace. Astoria 5-bedroom/2-bathroom 2-family house, $775,000: If you ever wanted to own a townhouse with an extra apartment for some income, then this charming semi-detached brick house at 14-03 30th Rd. off 21st St. is the place for you. Its value will only increase as the neighborhood becomes more prominent.